Who must pay the bill for the Lacrosse apartments fire? The gleaming white, orange and red panels attached to the outside of many high rise buildings built between the 1980s and 2013 create a stylish look for a relatively little money. But these panels hide a dark secret - they are highly combustible because they have a polyethylene core, which is like diesel fuel sandwiched between two paper thin sheets of aluminium. Not long after midnight on 25 November 2014, the inevitable happened at Lacrosse apartments in Melbourne's Docklands. A fire which started on the balcony of apartment 805 took just 11 minutes to climb up the building, as the panels burst into flame. See photo. The builder, LU Simon to pay the owners corporation and the 209 strata owners $5.748 million to reinstate the damage caused by the fire and for the additional insurance premiums on the building because of the panels / fire, and also up to $6.823 million for removal and reinstatement of the rest of the cladding. The French backpacker, whose cigarette started the fire, had the final 3% responsibility. Not paying attention to the fire safety of building materials used in the building has proved to be a costly lesson for the builder, and the building consultants. And having the misfortune of buying in the Lacrosse building has been costly for the owners. Apartment 805 (a 2 bedroom 2 bathroom apartment) was bought off the plan in May 2010 for $580,000. It was re-sold in January 2018 for just $445,000. According to Fire Brigades, there are 10,000 buildings in the eastern states of Australia with suspected highly flammable cladding. If you go to court and win, the loser will pay your legal costs of going to court, as a general rule. Legal Costs are often in the range of $40,000 to $80,000 for a contested hearing of one or two days in the Supreme Court. It's no wonder that people avoid going to court if they possibly can - because the legal fees are very high and what they are fighting over is not worth it. It is for this reason that the Strata Titles Law encourages strata owners and owners corporations / body corporates to take their disputes to the Tribunal, such as NCAT, VCAT or QCAT, which have cheap and informal procedures which keep legal costs to a minimum. They also have a rule that the winner is not entitled to be paid their legal costs by the loser, except in special circumstances. Tribunals have the disadvantage in that they cannot deal with some disputes and the orders they make are not as enforceable as orders made by the Supreme Court. 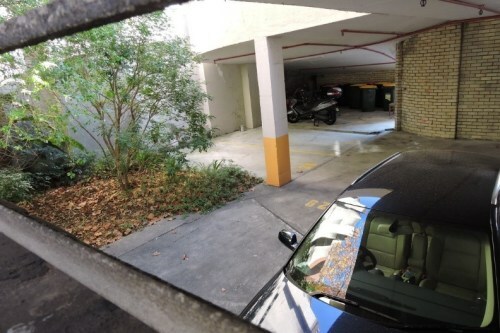 It was for this reason that the owner of a valuable car parking space in a strata building at Potts Point (near Kings Cross), went to the NSW Supreme Court to protect access to the car parking space after the owners corporation installed a chain and proposed building and gardening works which restricted access to his car parking space. The owner won the case and got his orders. But when he applied for an order that the owners corporation pay his legal costs he got a nasty surprise! The Court ordered him to pay the legal costs of the owners corporation even though he had won, because he had not followed section 253(2) of the Strata Schemes Management Act which requires that he go to the Tribunal first before going to court. As a result, he ended up paying not only his legal costs but also the owners corporation's legal costs of going to court. Is an Owner’s Corporation allowed to restrict access to an owner's parking space? The Strata Scheme at 45 Macleay Street, Potts Point was an old strata. It was strata titled before 1 July 1974, and therefore it was possible to have and did have, a separate title for each car parking space. Parking being scarce in Potts Point, the owner of a home unit up the street bought the car parking space. Trouble began soon afterwards. The Owners Corporation put up a chain barrier to separate the car space from unused land which was common property. The chain needed to be removed every time to enable a car to cross into that land to be parked in what was a 'tight' parking space. Worse was to follow: the OC planned to build a car parking area or a garden area on the unused land, with a fixed barrier close to the parking space which would make parking almost impossible. So the owner took the Owners Corporation to the Supreme Court, asking for a declaration that it not unlawfully interfere with his right to access the parking space. The Court made an order that the owner could go over by 800mm into the unused land when parking their car, unimpeded by a chain or a barrier. But in an interesting twist, the owner was ordered to pay the legal costs of the OC (in addition to his own) even though he won, because the Strata Law says that if a strata dispute can be heard in NCAT, then it should be heard in NCAT. What happens to an off the plan purchase if the building is not completed before the sunset date? Let's start by making it clear that a sunset date is not a romantic meeting. A sunset date is a date that a property developer inserts into off the plan sale contract by which they expect the building to be completed and the strata plan to be registered. Until 2 November 2015, there were no restrictions on vendors or purchasers terminating the sale contract if the building was not completed by the sunset date. But in a rising property market, some property developers were delaying completion and were using the sunset clause to terminate then re-sell at a profit. In response, the NSW Government introduced a Sunset Clause Law which requires the vendor in the contract to obtain permission from the NSW Supreme Court to rescind the contract. Permission is granted if the court is satisfied that it is just and equitable in all the circumstances to be able to rescind. 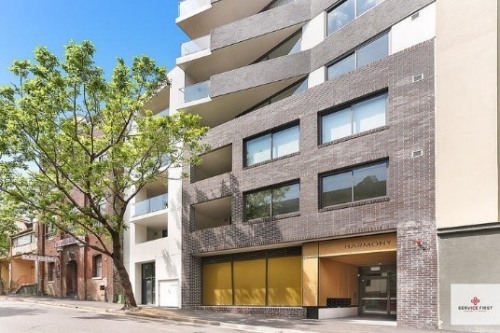 In only the second case which has been decided under the Sunset Clause Law, the Court has decided to refuse permission to the property developer to rescind nine off the sale contracts in an apartment development in Surry Hills, Sydney. The court refused because the purchasers would lose the benefit of an average increase in value of $200,000 above the Contract Price and lose the 'lifestyle' choice of moving in. This was so, even though the property developer was not wholly to blame for the delay in completing the building because its builder went into administration. For more details, click on my case note Sunset Clause Law bites property developer. 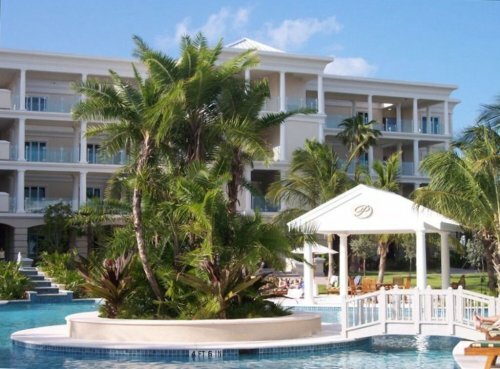 The "Pinnacle" is an exclusive residential condominium on Grace Bay Beach in the Turks and Caicos Islands. The developer aimed to attract buyers looking for an exclusive place to live, not the holidaymakers along the beach. So the developer included a strata by-law which banned owners from renting out their apartment for less than one (1) month. This ban was ignored by the owners of apartment 102, who rented to holidaymakers, usually with one week stays. The body corporate sued the owners for breaching the strata by-law. The owners countered by arguing that the strata by-law was invalid because the Strata Law did not permit any restriction on a strata owner’s right to rent out their apartment. The Strata Law is the same in Turks and Caicos as it is in Australia. The case was fiercely fought, all the way to Judicial Committee of the Privy Council in London, which was also Australia's final court of appeal until 1986. In the last year or two, the topic of Airbnb style holiday lettings in strata apartments has been hugely controversial in Australia. NSW Fair Trading has advised and the NSW Civil and Administrative Tribunal has ruled that a strata by-law cannot restrict the rights of an owner to rent out their apartment in any way. The Privy Council rejected this strict interpretation. It ruled on 21 December 2017 that it was possible that the owner’s rights be restricted, if the restrictions were reasonable. In this case, the strata by-law was a reasonable restriction on the right to lease because it was aimed at preserving the residential use of the building. It was reasonable to draw the line at 30 days to distinguish a residential use from a holiday letting use. Therefore the strata by-law was valid. The NSW Fair Trading advisory and the Tribunal ruling can be ignored as they are both wrong to reject any restriction on the right to lease. 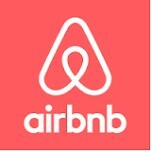 If a strata scheme wants to restrict Airbnb style holiday lettings, it passes a strata by-law with a one (1) month minimum stay requirement, just like in the "Pinnacle"! If an owner is unhappy with the strata by-law restriction, they can apply to the Local Council or Planning Authority for an approval or permit to use their apartment or villa as a serviced apartment or as a bed and breakfast establishment. If an approval or permit is granted, it will override the strata by-law. If the strata scheme does not pass a strata by-law, then the owner can continue with their Airbnb style holiday lettings. Do I need permission to renovate my home unit? In the DIY TV Shows, the contestants renovate a whole block of apartments before they are strataed for sale. Therefore they don’t need to comply with all those annoying rules and requirements for renovation approval that all strata owners need to comply with. What are those rules and requirements? Up until now, in NSW, all work affecting the fabric of the building, from major work such as a new bathroom to minor work such as putting up a shelf in a bathroom, have all required the same approval, namely a special resolution (a 75% majority) at a general meeting of the owners corporation. – Cosmetic work such as putting up a shelf, hanging pictures, painting and patching, laying carpet, installing built-in wardrobes and replacing blinds and curtains (like for like) will not require any approval. This is a DIY renovators paradise! – Minor renovations such as renovating a kitchen, installing a wooden floor, electrical work, installing an air conditioner will require approval by a simple majority (a 50% majority) resolution at a general meeting of the owners corporation. This work is not DIY territory because the owners corporation can be expected to require that the work be carried out by licensed tradesmen, at specified times, and according to approved plans. – Major work covers all renovations that are not cosmetic work and minor renovations. Major work is all work requiring waterproofing and structural work, such as new bathrooms, laundries, plumbing work, replacement of external doors and windows, pergolas and awnings. Major work will require approval by a special resolution (a 75% majority) at a general meeting of the owners corporation. This work is for licensed tradesmen with structural engineer’s certificates and waterproofing certificates. How long do you have to make a building defects claim against the builder of strata apartments? Owners of new strata apartments regularly find defects, some minor, some major. The new Strata Schemes laws in NSW will make it compulsory for a defects survey to be carried out within a year, and will provide a retention fund of 2% of the building cost to cover repairs. But often, it takes several years before major defects come to light, such as foundation subsidence resulting in walls cracking, cladding on facades falling off, water penetration via faulty roofing or waterproofing, flooding, and so forth. The question is - how long do you have to make a defects claim against the builder? The answer is - 6 years after the building work was finished, not 6 years after the the building defect was first discovered. Strata Title ownership is changing next year. Are you ready? Buying a home unit is very exciting and very stressful at the same time. This article suggests 6 jobs that you can be doing to de-stress the process and make settlement smoother. Do you own a strata apartment in New South Wales? Are you purchasing off-the-plan? Strata title law is changing -to commence on 1 July 2016. Is Defect Free Construction achievable for strata title buildings in NSW? NSW Fair Trading says that waterproofing, fire safety and structural defects are the ‘holy trinity’ of building complaints it receives from apartment owners, in new multi-storey apartment buildings. There are six reforms for building defects contained in the new strata law. For landlords, renting out a strata unit is entirely different from renting out a house because a strata unit is part of a strata community. Repairs and tenant behaviour are special hazards when renting out a home unit - the rules about repairs and tenant behaviour for strata owners.